Miami’s premier electronic music festival comes back to Tokyo for the 5th consecutive Ultra Japan this year. Prepare yourself for 3 days of absolute insanity in the epicenter of Tokyo at the Odaiba Ultra Park. 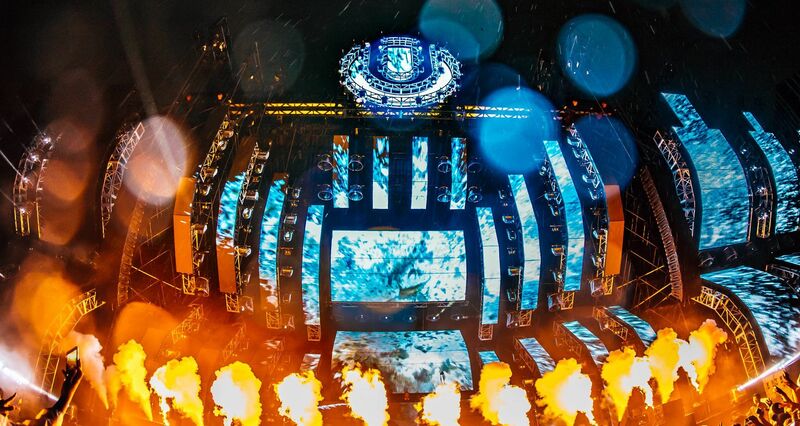 Ultra Music Festival caters to the ever-growing popularity of electronic dance music in Japan, offering you the hottest and latest DJs to provide you an experience of a lifetime. Stay tuned for the updates via the official website, Ultra Japan Facebook Page or Ultra Japan Instagram. GA 3 DAY TICKET – Includes GA admission to 3 day(s) of Ultra Japan 2018. GA 2 DAY TICKET (9/15, 9/16) – Includes GA admission to 2 day(s) of Ultra Japan 2018. GA 2 DAY TICKET (9/15, 9/17) – Includes GA admission to 2 day(s) of Ultra Japan 2018. GA 2 DAY TICKET (9/16, 9/17) – Includes GA admission to 2 day(s) of Ultra Japan 2018. GA 1 DAY TICKET (9/15, 9/16 or 9/17) – Includes GA admission to 1 day of Ultra Japan 2018. VIP 1 DAY TICKET (9/15, 9/16 or 9/17) – Provides 1 day of VIP access to Ultra Japan 2018 via the Express Entrance, exclusive bathrooms, bar & resting area. ● Absolutely no refunds or changes will be issued for 1-day / 2-day / 3-day tickets for reasons pertaining to the performance schedule. ● Guests having lost or damaged their wristband will not be entitled to reenter the venue, have their wristband reissued, or receive a refund. ● Large numbers of guests are expected to attend the festival and in certain circumstances some areas within the venue may become restricted. ● The festival is intended to be an environmentally-friendly, enjoyable event for all guests. ● Artists performances are subject to sudden change and cancellation. Refunds will not be given in the event of such circumstances. ● The organizers, promoters, and artists are not liable for any compensation and / or cancellation charges for travel expenses generated from the festival / event being cancelled or postponed. ● No alcohol or beverages of any kind of permitted to be brought into the event. ● No umbrellas, cooler boxes, chairs, parasols, mats, bottles, cans, fireworks and other explosives, animals (including guide dogs), items prohibited by the law, or dangerous items of any description may be brought into the venue. Anyone found found carrying these items will be carried out. Any guests found to possess illegal substances, weapons and / or other prohibited items will also be refused entry. reported to the police immediately. No refunds will be given. ● Guests must be responsible for the security of all of their personal belongings. ● The festival venue operators, organizers, promoters, and artists can not be responsible for lost, stolen or damaged possessions or accidents occurring in injury occurring anywhere in the venue during the festival regardless of fault or reason. ● Personal information collected at the time of ticket reservation / purchase will all belong to the event organizer. ● Such actions are prohibited from arriving and camping out at the venue or in the vicinity of the venue prior to the day of the event. ● There is no car park at the venue. Guests are requested to use public transport. ● Photography and filming will take place during the event and images acquired will be used for publicity purposes. ● In accordance with the conditions (Chapter IV Article 15 <Prohibition of Resale> ) stipulated by the All Japan Concert & Live Entertainment Promoters Conference, the resale and transfer of tickets for tickets for strictly prohibited.No guarantee can be given for the validity of tickets purchased from individuals, on auction sites or at discount ticket shops.Anyone found to be resold or transferred ticket will be refused entry to the event and subject to legal action.Any issues occurring on the day of the event from the resale / transfer of tickets are to be dealt with by the parties concerned. ● Anyone belonging to anti-social groups or organizations will be refused entry to the festival. Guests removed from the venue or not permitted entry in relation to any of the terms of above. ● Guests who are behaving in a disorderly, offensive or inappropriate manner, and guests who refuse to obey instructions / warnings from festival staff will be removed from the festival immediately. No refunds will be given. ● Anyone found to have entered the festival with a counterfeit ticket or wristband will immediately be removed from the festival grounds and handed over to the police. Damages will also be sought. Anyone not in compliance with festival / venue policy will be refused entry. Anyone already admitted to the festival that is found to be in violation of any above the above term will immediately be removed from the venue. ● Guests removed from the venue or not permitted entry in relation to any of the terms of above will not be entitled to a refund. ● Guests accompanying the ticket purchaser are also subject to the above the above. You must bring valid photo ID(*1) to enter the event. All copies and expired documents are inadmissible. *Tickets for this event are only available to guest purchases from outside of Japan.